The word "green" is linguistically related to the Old English verb "growan" which means "to grow" or "to turn green". The first recorded use of the word as a color term in Old English dates to around AD 700. Across most cultures, the color is commonly associated with nature, fertility, growth and healing. A person with a "green thumb" is good at making plants flourish and "green rooms" are where performers relax before going onstage. However, the color green has another face, and can be used to refer to envy, illness and even death. If you are "green around the gills", you look sickly. Jealousy is often called the "green eyed monster". Because ancient man lived hand in hand with the natural world, the color green has much symbolism and lore associated with it. 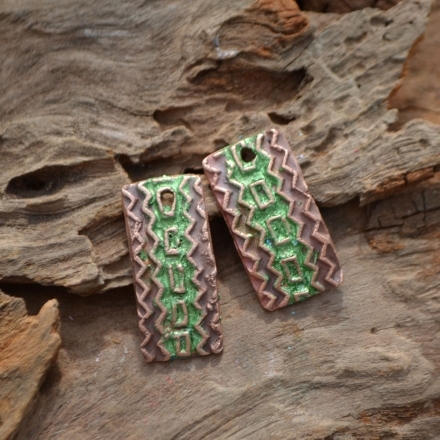 Green was the color of resurrection and immortality in ancient Egypt. Osiris, the god of the underworld and vegetation, was one of the first "green men" because he was depicted as having green skin. The floors of many Egyptian temples were often painted green to represent the grass which grew along the life-giving Nile River. Lining many temples bases were carvings of papyrus, lotus and other plants. In ancient Greece, green was an important symbol of victory. In China, green was associated with the east because of the rising sun and, with it the return of the sun, life and growth. In Thailand, dark green was considered lucky for those born during the day on a Wednesday. If you were born on Wednesday night, your lucky color was light green. Scottish Highlanders wore green as a mark of high honor. 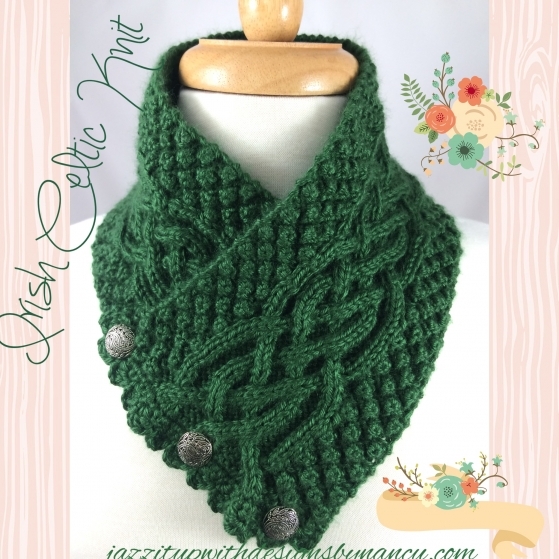 Up until the 20th century, green was the traditional color for European hunters to wear, especially the shade called, appropriately enough, "hunters green". Now most hunters wear olive drab or camouflage. Green has great religious symbolism, as well. Roman Catholic and some Protestant clergy wear green vestments in the season after the Epiphany and after Pentecost to represent rebirth and life. Clergy of the Eastern Catholic Church wear green on Palm Sunday and during Pentecost as symbol of resurrection. Because it was said to be Mohammed's favorite color, green is a sacred color to Muslims. Mohammed is said to prefer to wear a green cloak and turban and his writings constantly refer to the color. A passage from the Quran describes paradise as a place where people "will wear green garments of fine silk." 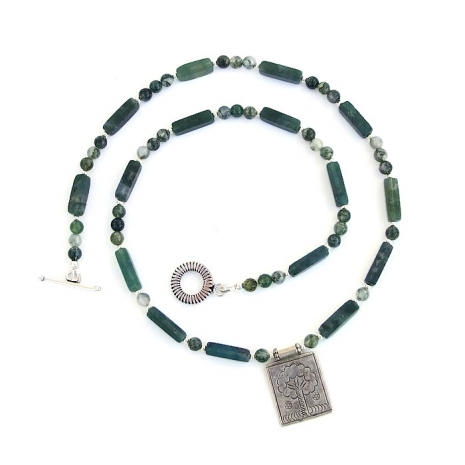 In Hindu and Buddhist traditions, the green heart chakra represents the point of balance between deep earth (prime creation, foundation) and elevated reality (spiritual and metaphysical creativity). 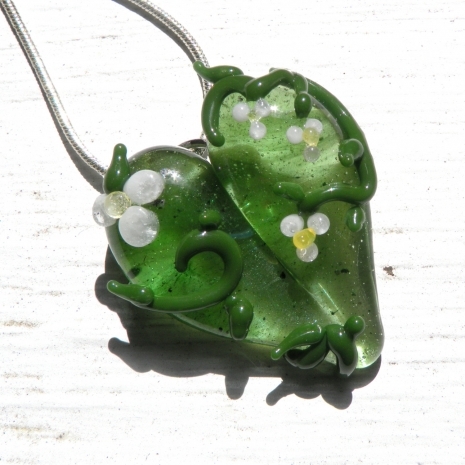 Green symbolizes the master healer and life force. In early English folklore, green could also signify witchcraft and devilry. It was often associated with faeries and evil spirits, especially those that snatched babies and young children. Even today, with the exception of St. Patrick's Day, the wearin' o' the green can be considered unlucky in Ireland. Green is supposed to be the favorite color of the Little People and if you wore too much of it, you could offend them and they could cause havoc by drying up your cows, ruining your crops, etc. Green cars, wedding dresses(!!!) and theater costumes are all objects of intense superstition. If you look at the flags of the world, many use green in the designs for symbolic or cultural reasons. Green is one of the three colors, along with red and black, of Pan-Africanism and represents the natural richness of the continent. Many African countries use green in their flags, including South Africa, Ethiopia, Zimbabwe, Benin and others. Many flags of the Islamic world are green due the sacredness of the color. 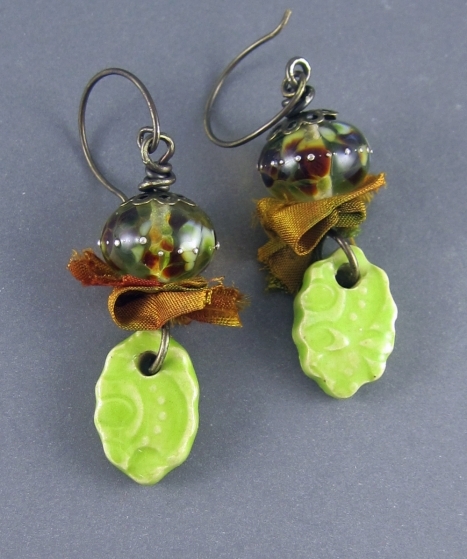 Jamaica uses the color to represent the country's lush vegetation. The green in the flags of Wales, Hungary and Brazil represents "jolliness and youth". Often referred to as the "Emerald Isle", Ireland adopted its tricolor flag in 1919: green represents the Gaelic tradition of the country; orange represents the followers of William of Orange in Ireland; and, white represents the peace, or truce, between the two. Chosen for its association with nature, health and growth, today green has become the symbolic color of environmentalism. The political Green Party emphasizes ecology, grassroots democracy, nonviolence and social justice. Green Parties are active in over 100 countries. A heightened public awareness and concern about the environment has sparked a "go green" movement. Pistachio pudding green "It's Your Birthday" greeting card with a sparkly star and washi tape handmade by Lisa of Cards by Li Be! I hope you enjoyed this collection of a wide variety of green - both the items and the different shades. If you would like to make my day and the day of the artists featured, please leave a comment. And any promotion you can do will be greatly appreciated. Thanks! 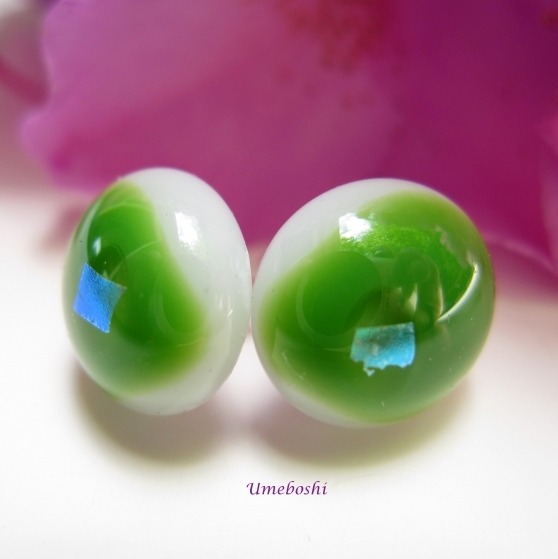 Wonderful collection of GREEN "handmade" items featured in your Blog! Hey, what a nice surprise to see your comment, Pamela! Thank you for stopping by and the kind words. I found the facts to be interesting, as well, Nancy! Many thanks for your comment and promo! The richness and freshness of green is always my favorite. I live in very green and lush West Virginia and never tire of the jungle of plant life around me! I wear more green than anything else. I am not surprised at the importance of green in daily life and spirituality of so many people! Catherine, thank you so much for sharing all the traditions as well as the beautiful handmade treats! Sharing and all pinned! When we lived in a forest in Northern Virginia, Jo, I reveled in the greenness and the wide variety of plants there that were always changing with the seasons. I love the desert here but do miss the green of "our" forest. Lucky you there in WV! Many thanks for stopping by and for all the promo. I love the color green especially with the rich choices in naturals stones of that color. After reading your informative post I definitely "side" with the earthy, verdant, lush positive associations of the color rather than the sickly or mean spirited ones. Maybe green shouldn't be worn for a wedding as it would make the bride look green about the gills. 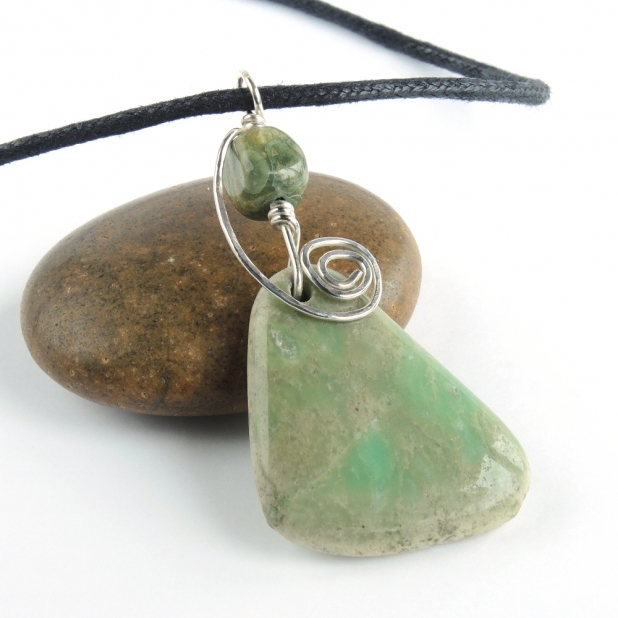 :) Thanks so much for including my tumbled stone pendant among your green handmade selections. I definitely agree with you about siding with the positive aspects of the color, Pamela. I did have to laugh about the green wedding dress! 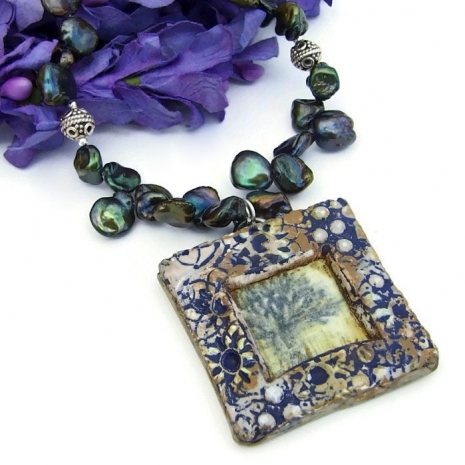 It's a pleasure to include your stone pendant. A couple of nights ago, I watched How Green Was My Valley just to see the village in Wales. Heart rending story but very real photography of the mines, the homes and the people. I wear shades of green most of the time, from light olive to forest green, even though blue is my favorite color. Kinda weird now that I think of it ;) Sharing your greenie blog now. Hey, I do recall that blue is your favorite color, Anna. But green is a mixture of blue and yellow . . . so, if you use your imagination, you are wearing blue - LOL! It has been a long time since watching "How Green Was My Valley" - need to look it up, maybe on NetFlix. Many thanks for the shares. Love your picks and really enjoy your blog Catherine, thanks for sharing! 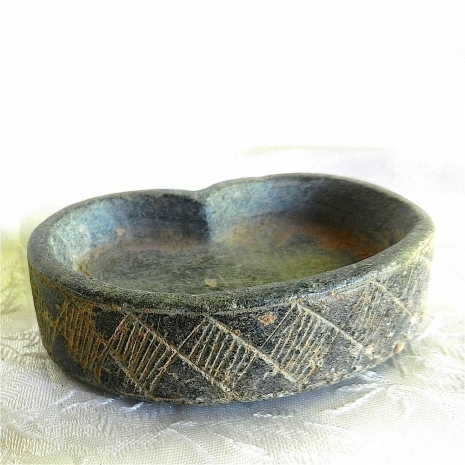 Lovely blog, I'm adoring the Bactria dish such a cool item! Catherine, this is So Beautiful! Everything seems so simple, yet I was so drawn it! 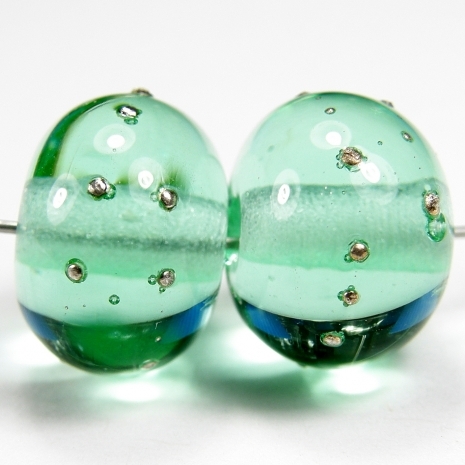 I think its the many different shades of Green each piece has! 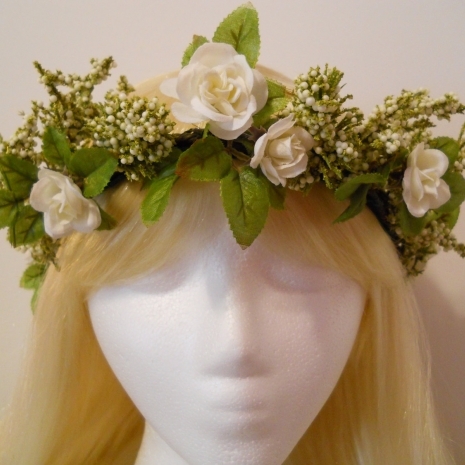 Thank you for including my head Wreath!! !